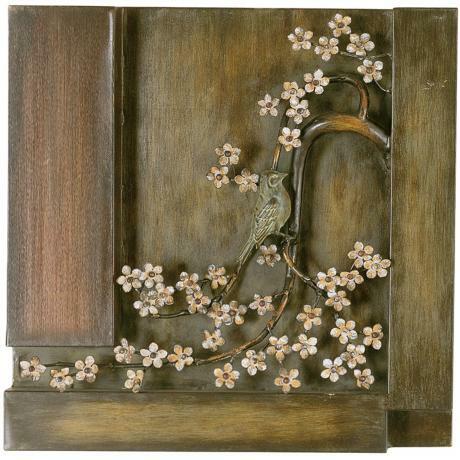 Add dimension to your walls with this cut metal wall art design with graceful little flower blossoms and a perching bird. Made of durable metal with a delicate floral design, this square art piece is a lovely way to dress up your walls. A branch dotted with small blossoms grows from the side of the image and a small bird sits, perched on its center. This multi-colored, cut metal art piece is a stunning way to accent your home decor.